Kimberli Russell used to be a stay-at-home wife. She used to hover in the background while millions cheered her famous husband. She knows that being a professional athlete’s spouse usually means lots of quite time with the kids. She’s been there and done that. Kimberli Russell is now making a name for herself. Kimberli Russell is one of the stars of the hit reality television show VH1’s Basketball Wives: Season 2. She is the wife of retired NBA player Bryon Russell. She’s familiar with doing homemaking thing while her husband grinded out a 14-year NBA career. During her husband’s long and stellar career, Kimberli Russell stayed at home. She cooked. She checked in on the schoolwork and homework assignments of the couple’s three children. Being married to a top-notch NBA player meant putting aside a possible career in psychology, which she majored in at Cal State University of Long Beach. Now that her husband is now fully into retirement, Kimberli have traded in her leisure time and shopping sprees to empowering women and putting to use her entrepreneurial and business acumen. During his heyday as a legendary shooting guard in the NBA, Bryon was known to the basketball world simply as BRuss. Kimberli Russell took Byron’s famous moniker and made it her own calling card, establishing her K-Russ brand. Part of that brand is marketing a unique brand of furniture and products. But when one thinks of a brand, it usually extends to all facets of a person or corporation. Kimberli Russell is far from being a one-dimensional person. Her brand is a lot more than making a fashion statement with furniture placement. 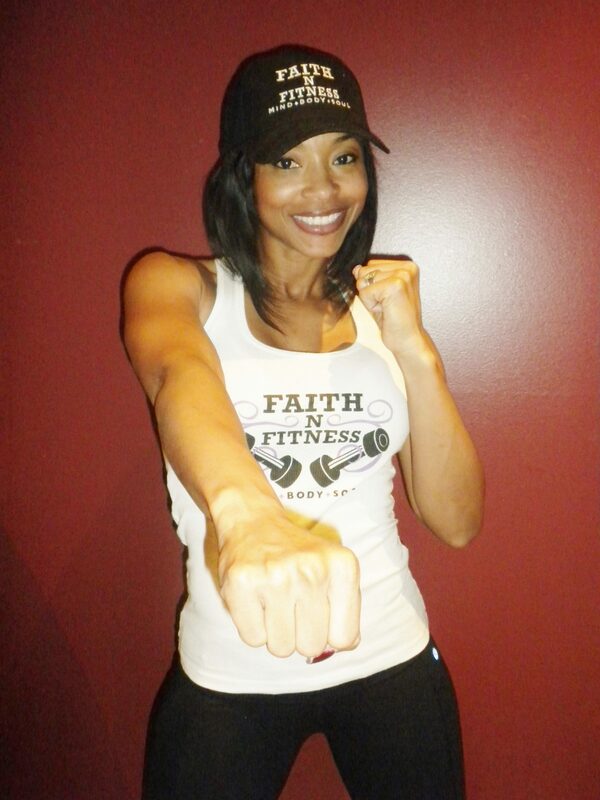 She wants to maximize the growth of her health and fitness company, Faith N Fitness, Mind, Body, and Soul. She operates as a life coach-mentoring, coddling and encouraging women on how to overcome depression and how to push aside low-self esteem. Working with abused women and children is an embedded part of her DNA. That brand is helping to bring fulfillment into other people lives, whether it is promoting healthy living through exercise, counseling bruised and battered women and children. What’s also important to Kimberli Russell is trying to help eradicate the stereotype of professional athletes and their relationships. One of those stereotypical notions is that all pro athletes, especially NBA players, cheat on their wives. Kimberli Russell has been married to husband for 15 years. She and Bryon were college sweethearts. To lump all athletes into one box is simply wrong, she said. “There are a small number of men who are fortunate enough to become professional athletes. They put them all in one little box and say here: Men cheat. Women cheat,” Kimberli Russell said. “I don’t think it’s fair at all to put just athletes in this particular box. Tiger Woods and Tony Parker are just two of millions and millions of men. I hate it when I hear that they all do this and they all do that. I don’t have that issue. Prayer and her faith in God are two of the top reasons Kimberli Russell believes her marriage has been able to absorb life’s speed bumps and survive. Faith without action is dead. Kimberli Russell is a person who knows how to walk the walk. Before she received a call from Shaunie O’Neal, the executive producer of VH1’s Basketball Wives: Season 2, she had just been accepted to Pepperdine University’s graduate program. She had her hand in other endeavors. Then the call came from her longtime friend. Kimberli Russell accepted the role, hoping to dismiss a lot of the convoluted messages out there about NBA wives and their families. “A lot of people think we’re all one way,” Kimberli Russell said. “We’re all at the mall. We shop all day. We have no life. [But] We’re mothers. Some of us are lawyers. Some of us are doctors, actresses. Shaunie and I talked about the show before it ever started. We’ve been friends for a long time.